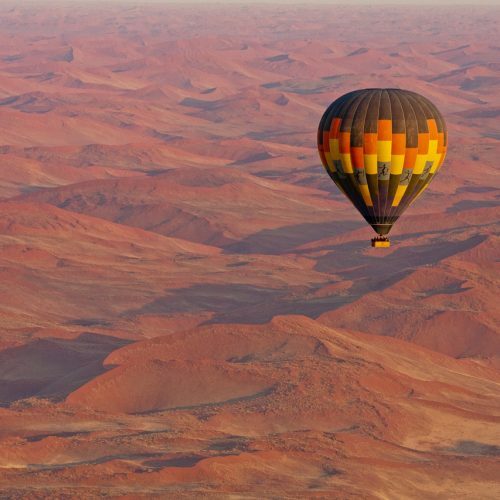 Namibia is named after the oldest desert on earth, the Namib, which means “vast place”. Its far-reaching open landscapes and sparse population give way to a land that is in some places home to only the lonely desert wind. From the sand sea and perfect dead-tree valleys at Sossusvlei to the otherworldliness of sand dunes plunging down to the sea along the Skeleton Coast. Gaze up at one of the darkest skies ever measured and more stars than you could ever imagine. Inland gives way to mountains, the Fish River Canyon, and then the rivers and wetlands of the Caprivi Strip and the golden plains of the Kalahari. 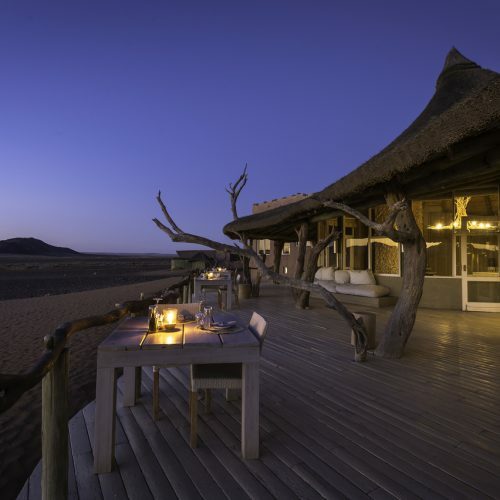 It is difficult to imagine an African landscape that Namibia doesn’t possess. Humankind is here very much at the mercy of the elements. Etosha National Park in the North is one of Africa’s great parks in both size and wildlife diversity. In Damaraland desert adapted elephants and lions inhabit a seemingly lifeless backdrop. Track black rhino on foot in the true wilderness.